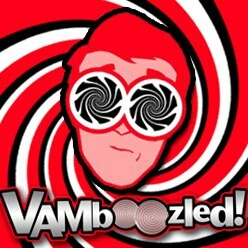 November | 2016 | VAMboozled! Many of you might recall that just over two years ago my book titled “Rethinking Value-Added Models in Education: Critical Perspectives on Tests and Assessment-Based Accountability,” was officially released. Another book that I co-edited along with Kimberly Kappler-Hewitt — Assistant Professor at the University of North Carolina at Greensboro — was also just released. 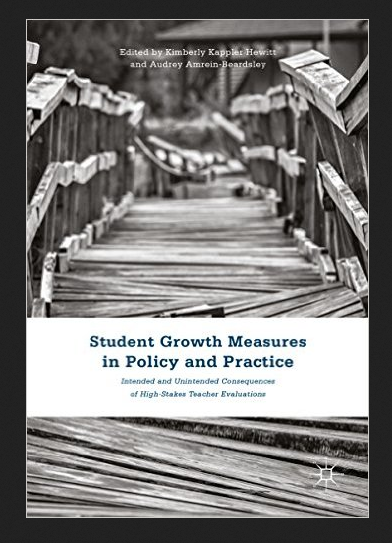 For those of you who might be interested, within this new book — “Student Growth Measures in Policy and Practice: Intended and Unintended Consequences of High-Stakes Teacher Evaluations” — we along with 14 total chapter authors representing multiple states across the U.S. (e.g., Henry Braun, Sean Corcoran, Jonathan Eckert, Drew Gitomer, Michael Hansen, Jessica Holloway, Margaret Plecki, Benjamin Superfine) examine “the intersection of policy and practice in the use of student growth measures (SGMs [e.g., value-added models (VAMs)]) for high-stakes purposes as per such educator evaluation systems.” We also examine “educators’ perceptions of and reactions to the use of SGMs; ethical implications pertaining to the use of SGMs; contextual challenges when implementing SGMs; and legal implications of SGM use” pre and post the passage of the Every Student Succeeds Act (ESSA). 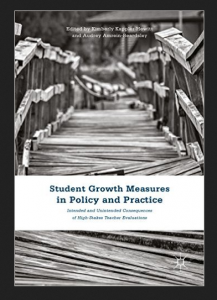 As we all know, pre and post ESSA, the use of student test score data has been the cornerstone of really the past decade’s transfiguration of teacher evaluation and accountability systems; hence, for those of you who might be interested, this book will hopefully be of “added value” in terms of our collective understandings about SGMs/VAMs use and applications, from policy to practice. The book is 291 pages, 14 chapters, and it was published by Palgrave Macmillan, United Kingdom, at an (unfortunately high) cost of $94. For more information click here. “A Concerned New Mexico Parent” sent me another blog entry for you all to review. 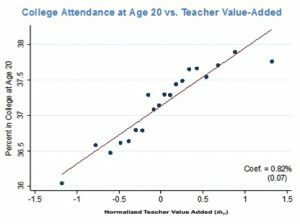 In this post (s)he explains and illustrates another statistical shenanigan the New Mexico Public Education Department (NMPED) recently pulled to promote the state’s value-added approach to reform (see this parent’s prior posts here and here). The New Mexico Public Education Department (NMPED) should be ashamed of themselves. In their explanation of the state’s NMTEACH teacher evaluation system, cutely titled “NMTEACH 101,” they present a PowerPoint slide that is numbing in it’s deceptiveness. The entire presentation is available on their public website here (click on “NMTEACH101” under the “Teachers” heading at the top of the website to view the 34-slide presentation in its entirety). Apparently we, as an unassuming public, are to believe that NMPED has longitudinal data showing how a VAM score from grades 3 through 12 (cor)relates to the percent of New Mexico students attending college at age 20. [This is highly unlikely, now also knowing a bit about this state’s data]. But even if we assume that such an unlikely longitudinal data set exists, we should still be disconcerted by the absolutely minimal effect of “Normalized Teacher Value Added” illustrated on the x-axis. This variable is clearly normalized so that each value represents a standard deviation (SD) with a range from -1.5 SD to + 1.5 SD — which represents a fairly significant range of values. In layman’s terms, this should cover the range from minimally effective to exemplary teachers. So at first glance, the regression line (or slope) appears impressive. But after a second and more critical glance, we notice that the range of improvement is from roughly 36% to 37.8% — a decidedly and significantly much less impressive result. In other words, by choosing to present and distort both the x- and y-axes this way, NMPED manages to make a statistical mountain out of what is literally a statistical molehill of change! See prior posts about New Mexico, for example, here, as also related to the preliminary injunction already granted but also ongoing lawsuit, for example, here.